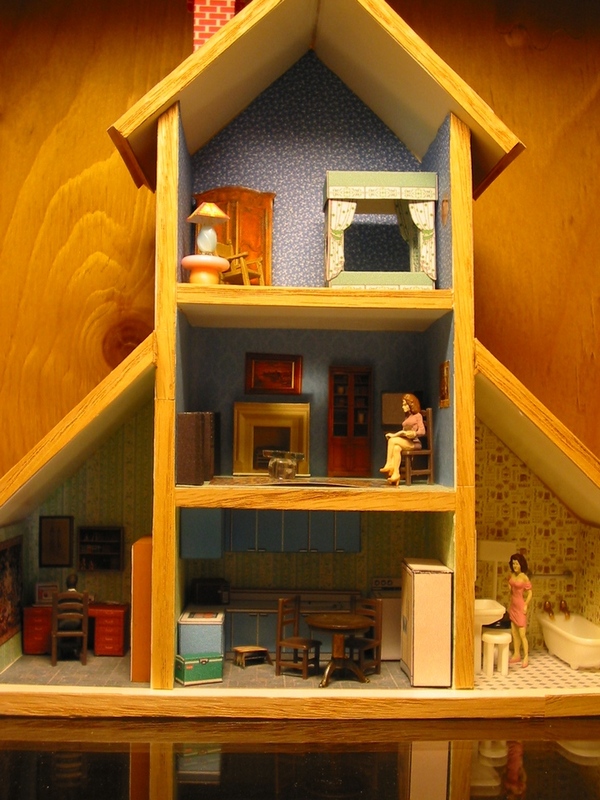 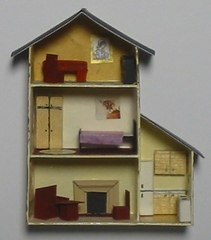 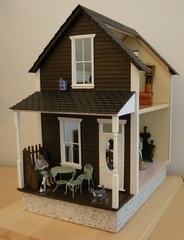 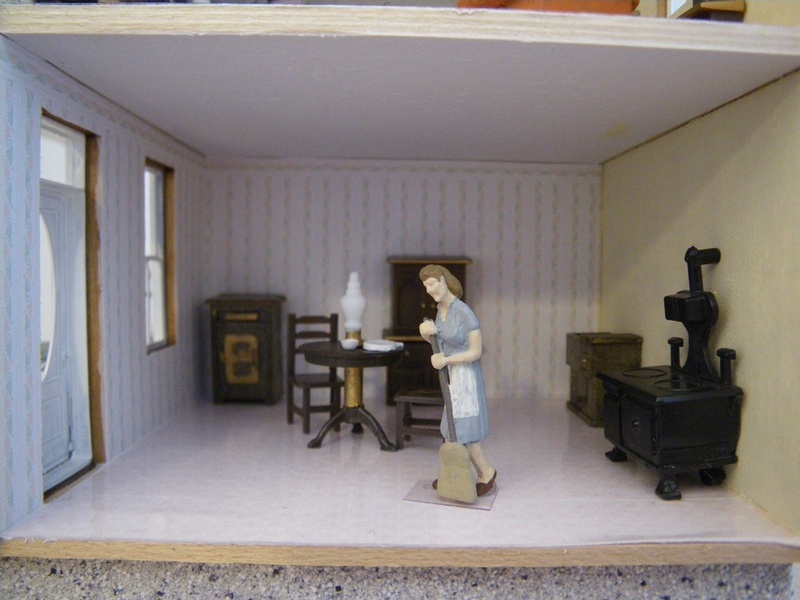 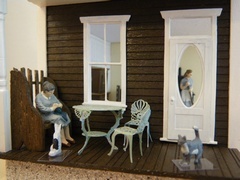 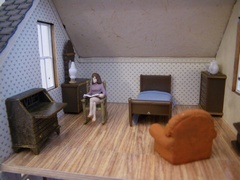 This page contains photos of various smaller dollhouses. This is a 1/12 scale dollhouse wardrobe. I added some shelves and made holes in the back to get the lights in. 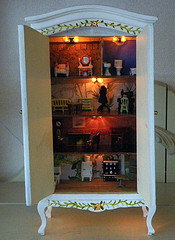 The lights are 1/12 scale Christmas lights for a dollhouse. 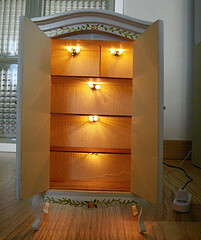 There are 12 lamps and I put 2 in each room. 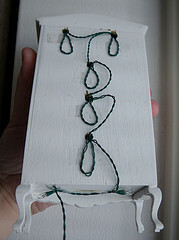 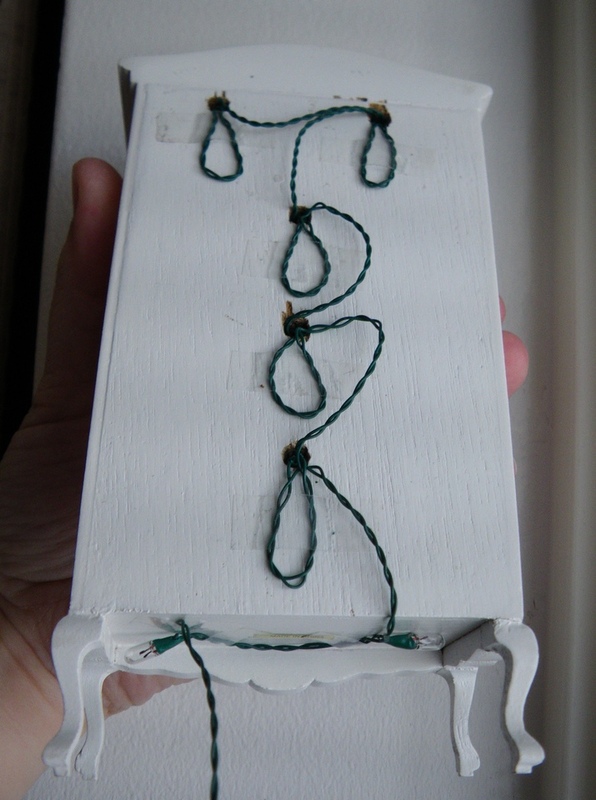 The 2 extra lamps that were left are attached under the wardrobe using adhesive tape. The furniture is made of metal. Some pieces were already painted when I bought them, some I painted myself. 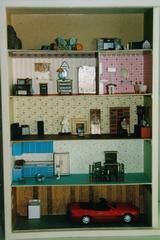 The wall papers and paintings are cutouts from various magazines. 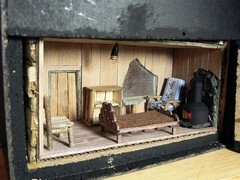 Here is the dollhouse within a 1/12 scale dollhouse. 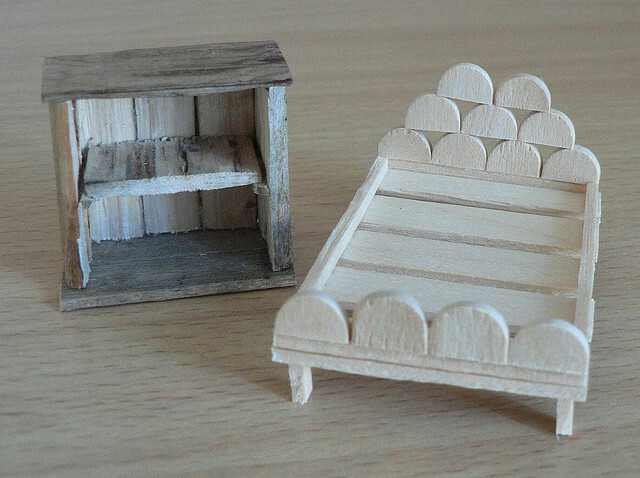 The first one was built from a laser-cut kit and the second one I built entirely from scratch. You can see the second one in the photo above, on the table in front of the staircase. 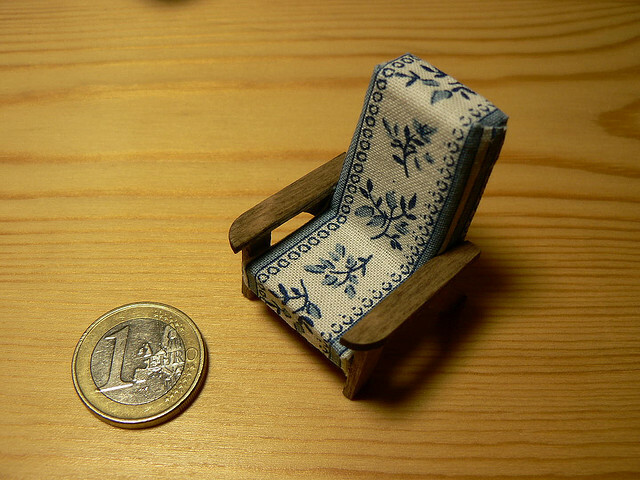 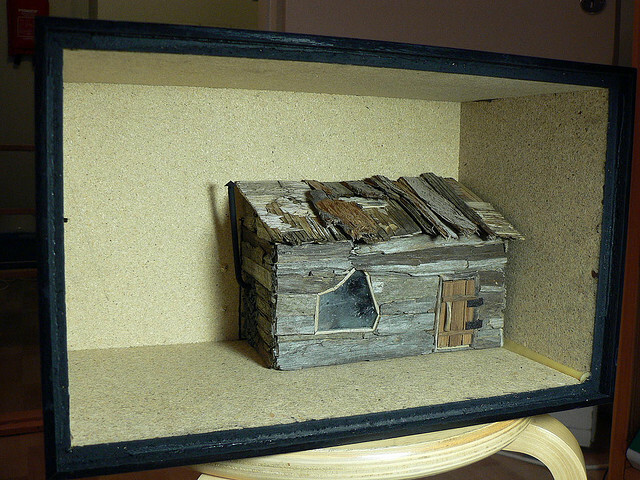 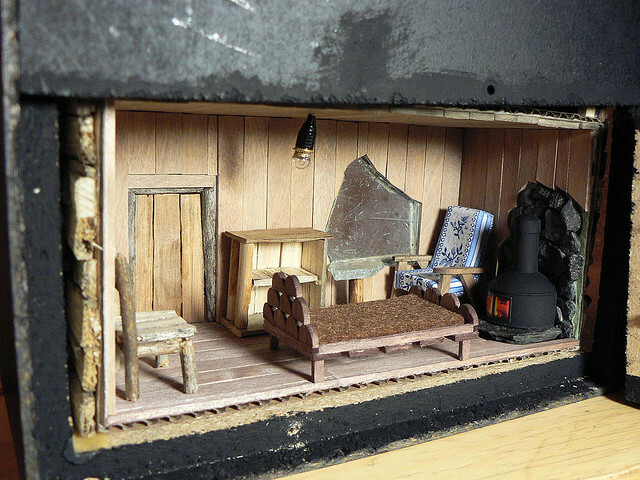 This very tiny dollhouse is actually a small piece of wood with paint and a magazine picture glued on it. 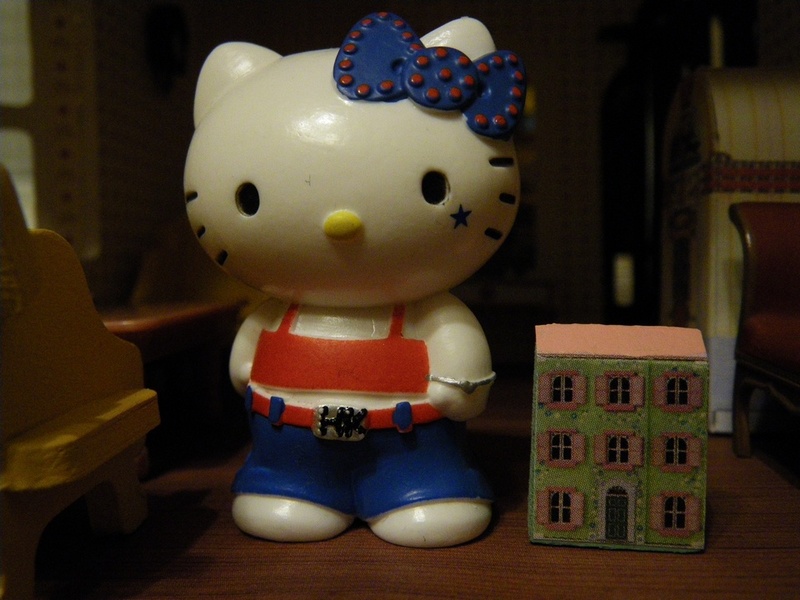 The Hello Kitty figure is shown for scale and it is 5 cm (2 inches) high. 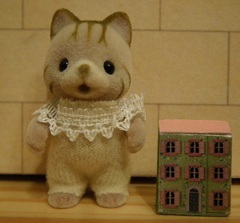 If you're familiar with Sylvanian Families (Calico Critters), the baby in the second photo may give a better idea of the size. 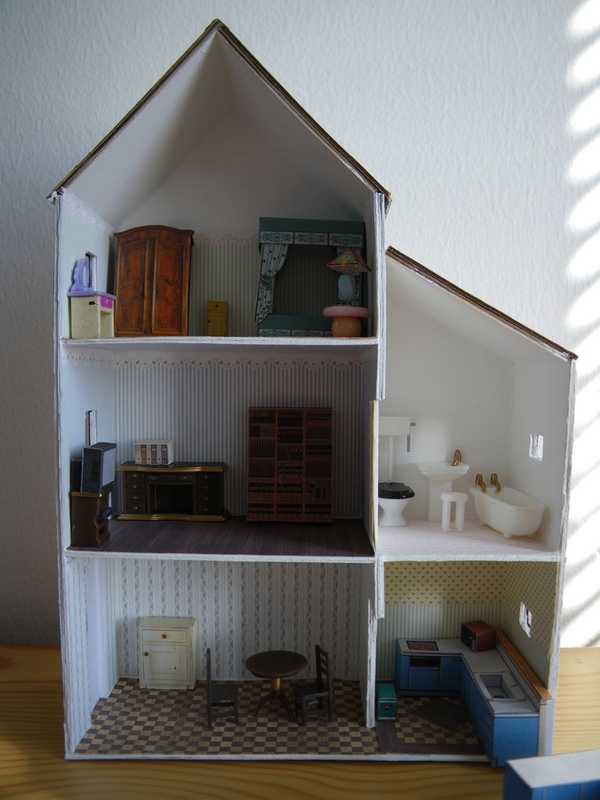 This house is made from scratch. 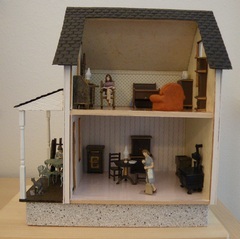 The scale is probably approximately 1/24, but the size was really determined by the pieces I used for building the house. The height of the house is 12 cm. 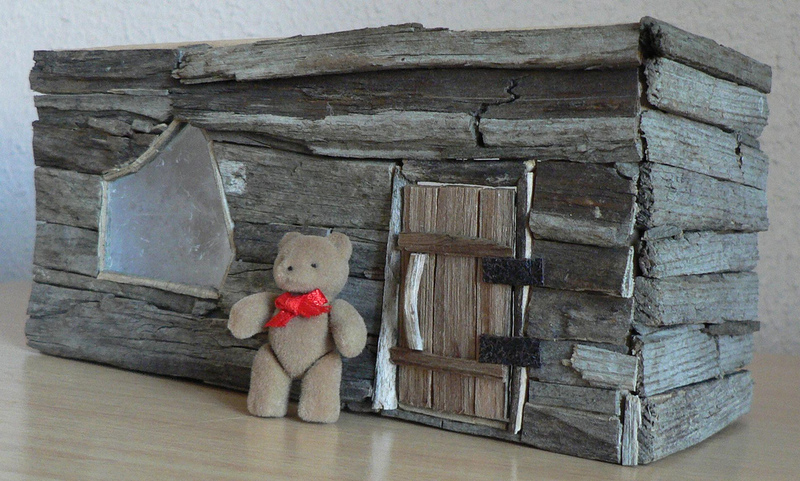 The frame is a small cardboard box and outer walls are made of pieces of wood I found on my walks. 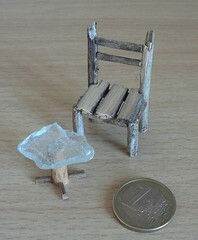 Even the window and glass table top are pieces of glass I found on the ground. 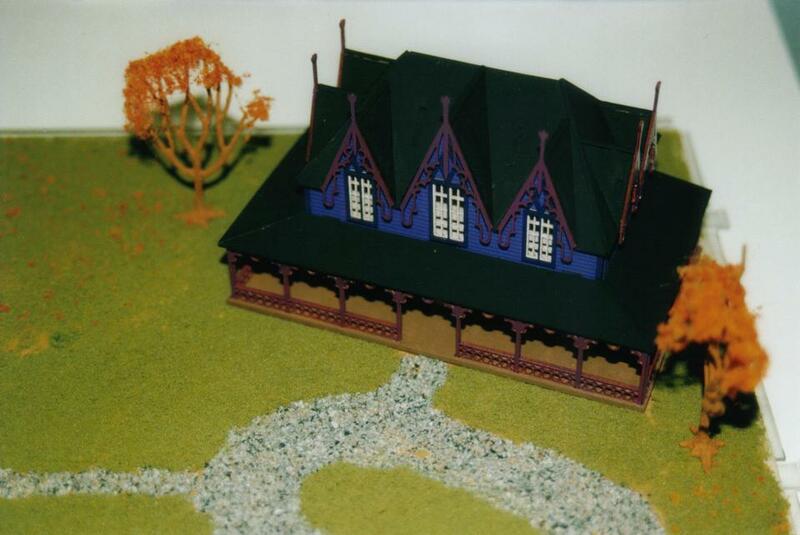 The original plan was to build a surrounding for the house into that box, but it's been several years and I still haven't done that, so I probably never will. It's a pity, really, as I went through all the trouble of making that hinged door on the back of the box, so you can look into the house when it's in place. The first one was built from scratch into a display box, the second one was built from a kit, and the third one from scratch based on the design of the second one. 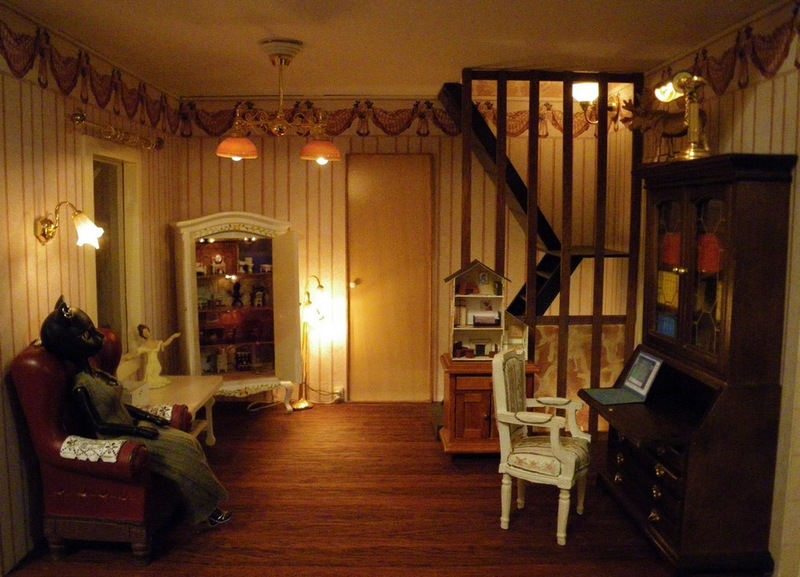 This house was built from a kit and all furniture was bought.